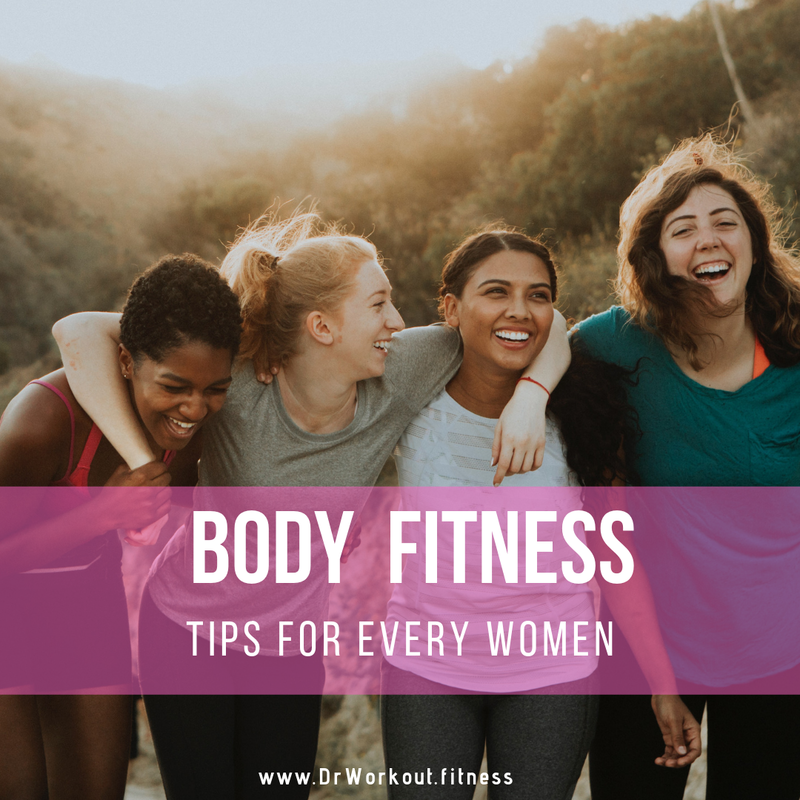 Fitness is very important for every woman but nearly above 75% of the women or girls facing difficulty in achieving their health and fitness goal. Improper diet plan and irregular exercises are the main reasons for the failure to maintain fitness. Physical fitness is essential for every woman it is nothing but being healthy and active. Involving in sports is one of the best ways to achieve the physical fitness. 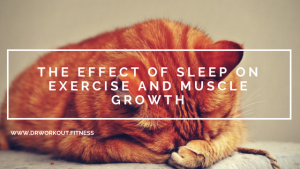 Maintaining the right nutrition input and regular physical activities or exercise and sufficient rest plays a significant role in supporting the physical fitness. There’s no denying the fact that we take our health and well being for granted. In the back of our mind, we believe that nothing is going happen to us. We are fit! But, it takes only one infection or seasonal disease to burst that bubble of assumption. And, it’s only later, when we realize how important health is to lead a hale & hearty life. In olden days most of the women were fit because of the daily activities they do as there don’t have such technology as we have today. But now the advancement in automation industry the exercise to the body is almost reduced as we have very tools to do our work without putting any stress on us. So, instead of waiting for the worst to happen, why not start today? Therefore to help you in remain fit and active below are some most useful fitness tips follow them and achieve the shape you dreamed. Here are some best fitness tips by following which you can be slim and beautiful. These tips are simple to follow, and also you will get motivated. This tip is a keynote for every generation. Staying put in one posture for hours blocks your muscles and joints. It even affects the blood circulation of the body. As a result, most of us face the problem of cervical, poor digestion, muscle pain, etc. Thus, to avoid that and maintain good health, it is imperative to keep your body moving. Just by simply taking a walk after lunch and dinner or by taking a 2-minute stretching break, can benefit your body a lot. Also, note that stretching aids in reducing the stress hormones of the body and promotes a good-quality sleep. The most common and hard task for the women’s or girls is getting involved in the fitness routine. The irregular daily routine will make you gain even more weight than before, so its involvement in very important in the achieving the fitness you desire. When it comes to maintaining health, exercising is the best way to do so. However, with the busy schedules, it gets difficult to make time for work-out. Then, how to manage? 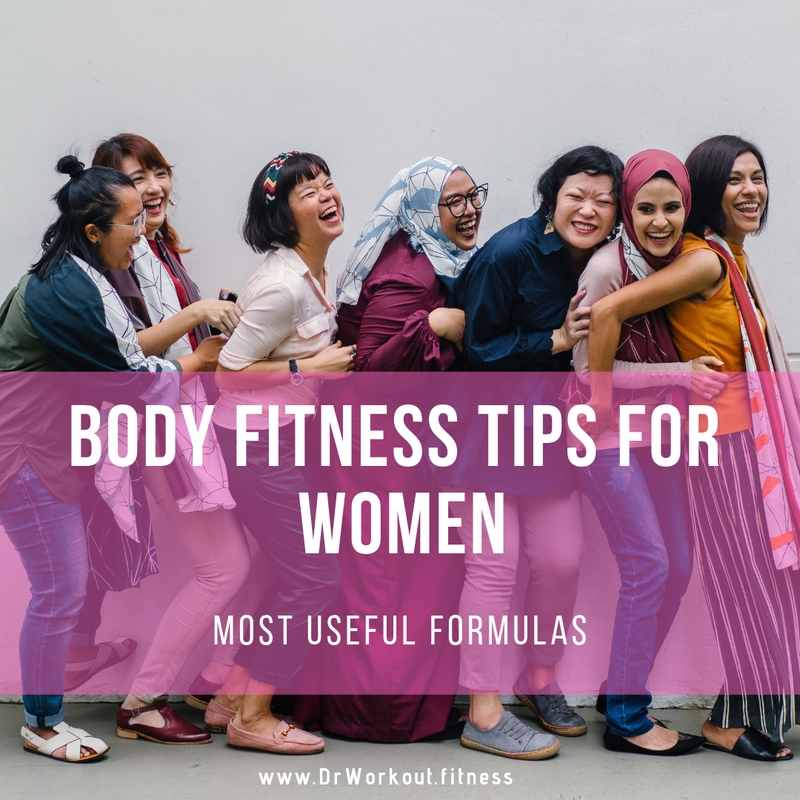 So girls choose the best activities when you are in the beginning stage so that you won’t get drop before reaching your fitness goal. Well, for starters you can always begin with 7-minute stair climbing. Other than that, if your workplace is just a few miles away, consider walking or biking to the office sometimes a week. If this doesn’t suit you, use your TV time for exercising. Instead of just throwing yourself to the couch after coming back from work, go for a little walk. If you enjoy dancing, join a weekend dance class. Or, you can also go swimming. Both dancing and swimming are the best cardio exercises and the most fun way to lose weight. 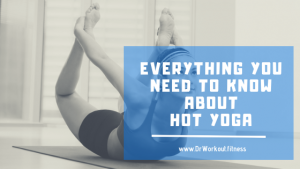 Select your favorite exercises and include them in your fitness routine program doing like this you can enjoy the fitness routine and practice them regularly. Once you get involved, you feel happier to do it and will achieve the best results. The long trips are the keystone for increasing your staying power. In this drive, you will get more breathing speed, feel like strained and rhythmic. Flat or rolling terrains are appropriate in this type of riding. In this session, gradual and long climbs are good or even choose a flat of which is having more resistance turbo guide. Do cycling for five minutes after the warm-up of ten minutes. In this way, you have a tremendous muscular efficiency and sense more comfortable hiking. For women’s fitness the treadmill practice is excellent so do follow it regularly. Try to hold a dumbbell of 3 to 5 pounds in hands and maintain the speed do a brisk walk and continue performing shoulder presses, triceps extensions, front and side laterals, biceps curls and standing triceps do it one after the after. 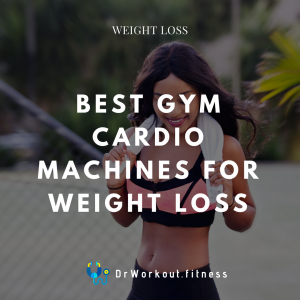 By working out on a treadmill, you can be more active and fit it is the best preference for women to maintain proper body shape and remove excess fat in hands, legs, and hip. Running is the best way to maintain fitness, doing it on a regular basis is beneficial for women’s and adds more health benefits. You can burn a lot of calories when you go for running it provides strength to gluts, quads, and hamstrings and makes you fit. Proper rising of heels with minimum 45 degrees bend in knees is recommended for safe running. We know, it sounds absurd to choose manual effort over technology. But, it’s worth it. Not only is it excellent physical activity, but also an easy way to shed some weight. Knowing that how hard it is to spare time for the gym, this physical activity can prove to be highly beneficial. It gets your blood pumping, improves muscle tone, and reduces the risk of obesity, heart disease and stroke. All you need to do is – eliminate the use of lifts & escalators as much as possible. According to a study by Oxford Academic, taking stairs halves the risk of heart attack. The question is – are you willing to spare seven minutes? Planning an excellent diet program is recommended for women fitness. Diet plays a vital role in fitness always have healthy and nutritious food in the home. Consuming right food at the right time is the best thing to maintain fitness. If you are having all time eating habit, then make ready some healthy snacks for you which consist of low calories. Follow the calorie chart for a better diet. Apart from just being a delicacy, seafood serves as an excellent source of protein, vitamins and minerals. Due to the abundant omega-3 fatty acids present in it, seafood works miraculously to ease the symptoms of arthritis. Also, it aids in boosting night vision and maintaining good eye health. According to NCBI report, the components found in seafood helps in lowering the risk of developing Alzheimer’s disease. In addition, it is also useful in enhancing brain power. Other than that, selenium found in seafood is a potent antioxidant that is known to improve the immune health. Thus, despite chugging red meat, try and include seafood in your diet for a better brain, eye and immune health. Often it happens, when you are not even in the mood for fast food, it is the only option available. Running late for a meeting? Grab a sandwich! Late night work? Order a salad. For a simple reason, not all fast foods are unhealthy. But, the choice you make should be a well-thought one. So, in your free time, explore the menu of the cafes or restaurants. Mark-out dishes that have the highest nutritional values and order your food from those selections. Avoid foods that contain lots of mayonnaise or any oil-based sauce. Similarly, instead of creamy spreads and sauces, look for dishes that contain mustard, catsup, marinara, or BBQ sauce. This way even fast food won’t have an ill-effect on your health. Drinking sufficient volume of water is essential to avoid the dehydration of your body. Drink more water once you get up from the sleep in the morning times. Make sure that you drink 3 to 5 liters of water every day. Certainly, liquid diets like meal replacements and detox have a smaller amount of calories than meals containing solid foods. However, other than that, they can adversely affect your health. To name a few, sugary drinks are strongly linked to weight gain, leading cause of type 2 diabetes, heart disease risk, etc. In addition, they are also believed to increase the risk of cancer. According to a study, people who consumed sugary drinks per week were 87% more probable to develop pancreatic cancer. Thus, it is highly recommended to avoid sugary drinks if they are not prescribed in your meal plans. To substitute it, you can include solid fruits in your diet. As a matter of fact, chewing stimulates the satiety of the body. In other words, your intestines take longer to process solid foods which help in keeping you full for longer. Managing work and family is a great deal, but sometimes, we let others take advantage of ourselves by being available 24*7. You may not notice, but there are multiple times when you might sacrifice your sleep for work. However, it’s not a healthy approach. Even researchers have stated, 7-8 hours of sleep is important to live a healthy life. If your sleep cycle is not up to the mark, it can affect your mental health and lead to problems like stress, tension, anxiety and depression. Thus, it is essential to set an off button to work after office hours. Also, spare using phones before bed as they engage you for long hours which is another reason for compromised sleeping hours. It’s better to take at least one day rest per week because sufficient rest is the success to keep you stronger. 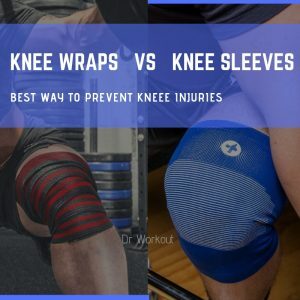 The microfibers in your body muscles will break down and get stronger at the time of rebuilding. As a result, rest in between the training sessions is vital. Everyone wants to acquire a healthy lifestyle and well-shaped physique in the society with self-confidence. Hence the practical tips will definitely help you for physical fitness. A happy soul reflects a healthy mind. And, emotional health plays a crucial part in our overall health. Unless you are free from unnecessary stress and tension, you cannot thrive. 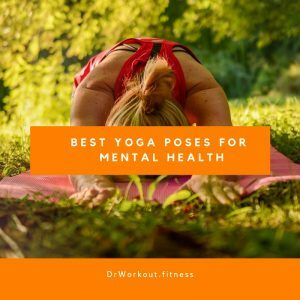 Besides, if stress and tension prevail for long, they can lead to much serious health issues. The most common one includes the risk of heart attack or heart stroke. Feeling constantly stressed leads to higher activity in the brain which increases the blood pressure. As a result, it can make you more susceptible to heart-related diseases. So, the simplest way to keep your mental health in check is by keeping your surroundings lively. Decorate your room with the things that inspire you. Stick some posters that make you feel happy. You can also keep a fresh flower or plant right by your work desk to keep yourself cheerful. As important as it is to breathe, it is equally important to let your emotions out – be it positive or negative. Because when you keep your emotions bottled-up, they cause serious harm to your mind, soul, and body. And, the worst part is – the suffering only increases. Sometimes, suppressing yourself may even lead you to say things which you may regret later. Therefore, the only way to handle it is to express it. Talk to people you can rely on. Share your happy moments with others. Rejoice in other’s happiness. As negativity attracts negativity, being with positive people and sharing your thoughts will improve your mental health. Besides, when you are mentally healthy, you can tend to become more physically healthy. The simplest and effective way to improve your health is through deep breathing exercise. It’s effortless and free. And, the exciting part – you don’t have to put any thought into it. Neither it requires any type of equipment and can be done as per your convenience. Deep breathing has a relaxing effect on the whole body. It triggers a relaxation response and soothes our brain. Also, deep breathing improves oxygenation of the blood which leads to enhanced metabolism and greater energy. Approximately 70% of toxins are released from our body through our breath. 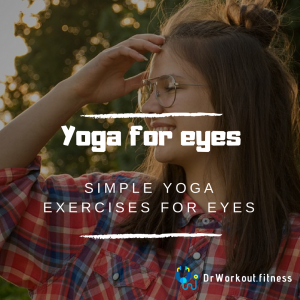 Thus, with the help of this simple exercise, not only you feel full of energy, but it also has an advantageous effect on your overall health. Anything consumed excess is not good it is going to bring health problems in the feature. And when coming to smoking and drinking alcohol the percentage of consumption is increasing day by day. The women’s are consuming more often the smoke and alcohol whenever they go out on tea breaks during office hours and when they go out to pubs or clubs. So limit the consumption of alcohol and smoking to be fit and active. Consuming daily 2 to 3 units of alcohol is advised to the women’s. Smoking and alcohol can bring lots of fast changes in you when it comes to appearance and activity level, so girls limit it to your best. With little-little efforts, you can bring a lot of difference to your health. But, it has to be you. Push yourself to abide by some of the tips mentioned above, and you can yourself see the change. It’s never too late to adopt healthy habits; you can still start now to enjoy its benefits in your later age!